Jacksonville is a rapidly growing metropolitan city in Northeast Florida, with approximately 850,000 residents. Because of it consolidated city-county government, it is the largest city in area in the United States and Florida’s most-populous city proper. Located just north of St. Augustine, the area is one of the nation’s oldest continually-inhabited areas. It has a distinguished history of military and economic significance. Due to its convenient location, mild climate, reasonable cost of living, high quality of life and a business-friendly government, Jacksonville is a popular location for many national and international corporations. It is recognized as a major transportation hub; millions of tons of raw materials and manufactured goods move through the city annually. One of Jacksonville's many natural assets is one of the largest urban park systems in the country. The active and passive parks and preservation lands are a key part of Jacksonville's quality of life. So are the miles of beaches and waterways, a major symphony orchestra, a sports and entertainment complex downtown and a myriad of special events that this sports-loving city hosts each year. The home of the NFL's Jacksonville Jaguars, the city welcomed its first Super Bowl in 2005. With a growing population, a strong economy, diverse cultural and recreational opportunities and abundant natural resources, Jacksonville continues to distinguish itself as one of the nation's most dynamic and progressive cities. Jacksonville has a variety of homes and neighborhoods to suit every taste and budget. Below is a brief description of Jacksonville's communities, neighborhood by neighborhood. 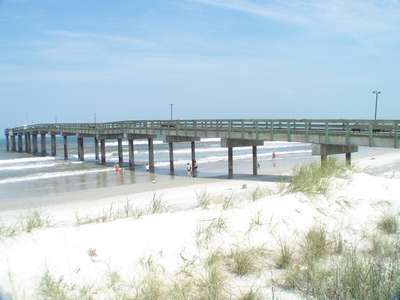 Jacksonville's beach communities are comprised of Atlantic Beach, Neptune Beach, and Jacksonville Beach. Located within one of the fastest-growing metropolitan areas in the country, beach residents enjoy all the amenities and modern infrastructure of a large city and all the hospitality of a small hometown. All three beaches offer a diversity of neighborhoods, each with a unique coastal Florida personality. Atlantic, Neptune and Jacksonville beaches are bordered by the Intracoastal Waterway and the Atlantic Ocean. Atlantic and Neptune beaches are made mainly residential with single-family homes and public beach access. Look for entertainment, shopping and dining along Atlantic Boulevard and A1A. Jacksonville Beach is further south and offers a mix of residential, commercial, retail and light industrial sites. With miles of white sandy beaches and a mild, breezy climate, residents and visitors enjoy year-round golfing, boating, fishing, tennis, and other outdoor sports. A variety of festivals offer music, food, and fun throughout the spring and summer. Although tourism is a major economic generator, there are no spring break crowds at Jacksonville's beaches, only family-oriented tourism which includes events like Friday night Moonlight Movies and the Summer Jazz Concert Series. Although Atlantic Beach, Neptune Beach, and Jacksonville Beach are part of Duval County's consolidated government, the three beach cities voted in 1968 to maintain their own identity and city governments. Each beach city has established a government that includes a city manager, a mayor and a city council. Primarily rural until the end of the 1960s when developers discovered this area, Mandarin has grown steadily since. The Mandarin Community Club works diligently to maintain the community's architectural integrity. Mandarin is rich in history, and for years different preservation groups have sought to maintain that history either in family holdings, trunks, church and school archives or through Mandarin Community Club involvement. Mandarin homes range from estates on the St. Johns River to small country homes with stables. Bordered on the east by the St. Johns River, to the north and west by the Ortega River and south of Riverside, this community is a peninsula on the river. Convenient private schools, area churches, and small parks along the river contribute to Ortega's charm. The Florida Yacht Club and Timuquana Country Club offer private social and recreational opportunities. Worth Magazine ranked Ortega 46th among the nation's top 50 wealthiest neighborhoods. The area offers just about any style of architecture and homes range in size from average sites to stately, sprawling estates. The 1920s Ortega River Bridge is one of the oldest functioning drawbridges. This community is bordered to the west by Highway 17 and the river to the east, between Interstate 10 to the north and the Ortega River to the south. These are well-established, historic neighborhoods on the west bank of the St. Johns River. There are five public schools located within walking distance of both neighborhoods. Riverside has become an attractive spot for young professionals who want a short commute to work. Homes include modest duplexes to elegantly restored historic residences and waterfront estates. Riverside is a medical hub with the St. Vincent's Medical Complex and private medical offices scattered along the river. Avondale is a traditional neighborhood with small boutique-type shopping, quaint streets and small-town charm. There are over a dozen parks with tennis courts, softball fields, and paths for jogging, walking or biking. Its close proximity to downtown makes it a great location for short commutes. Centrally located, the Southside is bordered by Arlington to the north and east, St. Johns County to the south and San Marco and I-95 to the west. This is literally the southernmost area of urban Jacksonville and is in the middle of all other Jacksonville communities. Southside has the area's largest grouping of apartment communities. Many new developments are less than a year old. Commuting, shopping and recreation are convenient. Housing includes single-family homes, condominiums and apartment complexes. Residents enjoy local golf courses, abundant dining and entertainment, and easy access to the beaches via J. Turner Butler Boulevard. Downtown and Springfield offer opportunities for entertainment and the convenience of living near Jacksonville's business district. Downtown's borders are the St. John's River to the south, the Stadium District to the east, I-95 to the west, and 1st Street on the north. Historic Springfield is bordered by Hogan's Creek at the south, railroad lines at the east and north and Boulevard Street at the west. Springfield, founded in 1869, is Jacksonville’s first and oldest subdivision. Its wide streets and blocks of architecturally distinguished houses have acted as a catalyst to preserve and revitalize the neighborhood. For more information on Jacksonville and Duval County, request our free Relocation Information packet. 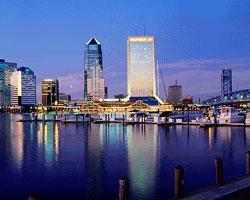 It's full of useful information about your move to Jacksonville and Florida's First Coast.